I have suffered with 'problematic' skin for years and have used a range of Bare Minerals foundations for a long time. I have always found them to be pretty fail proof. Being non-comedogenic they don't seem to cause any out-breaks for me and give that 'natural' look to the skin which is a huge plus. 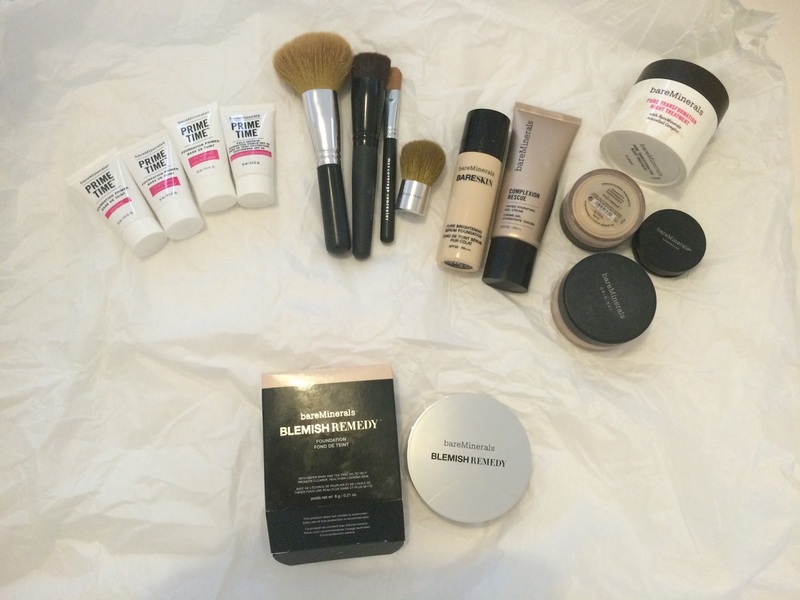 A range of Bare Minerals Foundations. 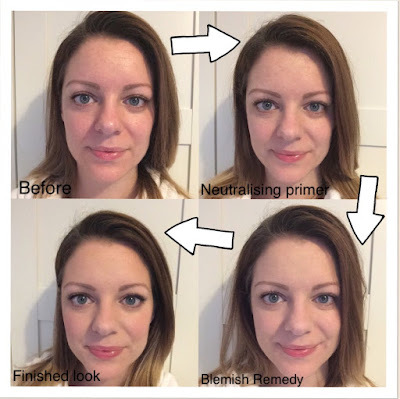 I was really excited to try the new Blemish Remedy Foundation - although my skin seemed to improve towards the end of my pregnancy and in the moths after birth, now that Arthur is 8 months old my hormones are kicking back in with full force! This new foundation contains Aspen Bark and Teatree Oil to help promote clearer, healthier-looking skin. It also helps to reduce the appearance of facial redness and the look of pores whilst reducing oil and shine. 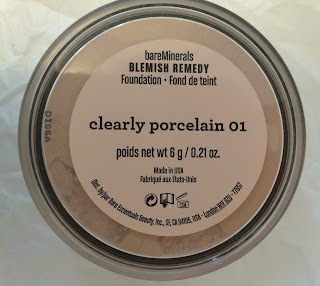 After applying the primer (with my fingers) in a thin, even layer, I then applied the Blemish Remedy Foundation using their usual 'Swirl, Tap, Buff' method with a brush. I find that the more you bush this into your skin, the better and more natural looking the result for a seamless finish. Of course I could stop there, but as my skin is very pale, I like to add a bit of colour back in by using the Bare Minerals 'Warmth' ( a type of bronzer) and also some pink coloured blusher. I find this is a better way to make my skin look naturally warmer rather than choosing a darker foundation. I always choose a light shade and add the colour back in. I have also applied eyeliner and mascara to open up my eyes. If I were going out for dinner or for a special occasion, I would also use one of the Bare Minerals 'radiances' to add some light and luminosity to my skin. ( Pre baby I wore a radiance on my skin most days, but I don't usually have the time now!). I also don't have to worry about putting my face near to my baby's skin when wearing Bare Minerals - I know the foundation is made from natural ingredients and is also pretty good at staying put anyway! This is so easy to apply I think i could probably do it with my eyes closed ( knowing i have the correct shade!) - this makes it super quick and easy to put on in the morning when getting ready with limited time. 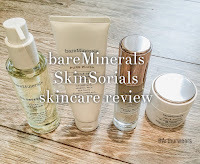 I have always wanted to try Bare Minerals. Thanks for sharing your post at the #AnythingGoes Link Party.